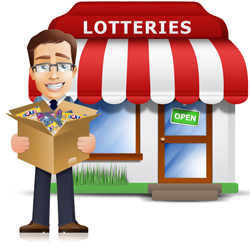 Lottery Numbers selected by Smart Play have higher odds to win. Although it may seem that random numbers are drawn for each lottery event, the truth is more revealing. 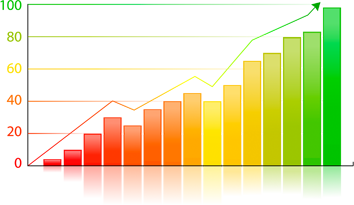 Statistically, over time, certain numbers are drawn more than others. The same can be said for number combinations. If you were a mathematics genius with a super computer you might be able to figure these statistics out. We have a better way. Smart Play levels the playing field for you, almost turning you into a math genius. And you don’t need a university degree. How does the smart play statistical model work? We can’t reveal too many details. They’re a closely guarded secret. If we leaked even a little bit of information, those statistics would no longer be valid. So to give you the best chance of winning, mum’s the word. But we can reveal some basic examples of number combinations. You’ll find them below, in the next section. We can tell you our Smart Play database is already crammed full of every useful statistic. And it’s updated after every lottery draw. So our stats are always fresh. The custom algorithms Smart Play uses can significantly boost your chances of winning the big one! Select the Smart Play option and your numbers will automatically be picked for you based on the most up-to-date statistics we have. The odds of drawing certain number combinations as winners are rather thin. A good example would be choosing all odd or all even numbers. They just don’t come up often enough to risk your money on. Our statistics show the best combinations to be 2/4: two even balls, four odd balls, 4/2: four even balls, two odd balls, and 3/3: 3 even balls and 3 odd balls. But there’s more to winning than that. 5 lower half and 1 upper half numbers. 1 lower half number and 5 upper half numbers. All 6 balls in the lower half. All 6 balls in the middle section. When you combine those four stats with the 2/4, 4/2, 3/3 rule, things get complicated very fast. And of course at the end of each drawing all the stats have to be recalculated. That’s why using Smart Play is a good bet for you. 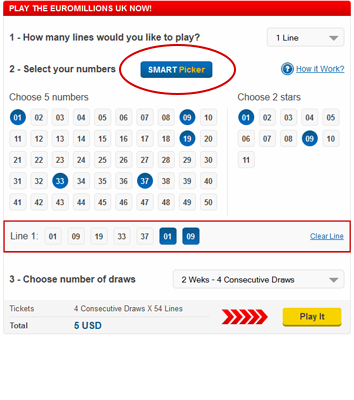 Smart Play will always generate the most likely combination of numbers for the next draw. 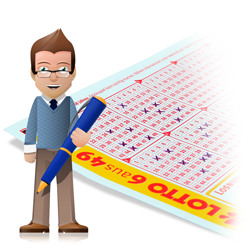 Simply select the official lottery you want to play, and choose your numbers. 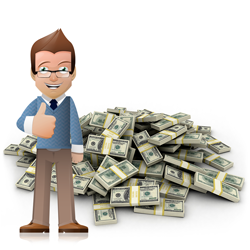 We will automatically credit your winnings to your account when you win. Theses are the biggest current jackpots. Here’s a great place to put Smart Play to the test! Use Smart Play on all your selections to increase your chances of winning.